Writer at Evil Martians. Formerly international TV correspondent, now teaches Ruby and Rails basics to beginners. Trying to cram all that complexity in one developer’s head (especially for someone who is just starting out) results in a well-described cognitive fatigue. However, the feeling of being left behind the pack, the growing difficulty to talk shop with “front-end guys”, and the creeping anxiety about job prospects should not be your only reason to question an established workflow. Programmers are rational people, after all. What’s wrong with the Asset Pipeline? Let’s not argue—the “old way” still works. You can still rely on a standard Rails front-end setup (and use CoffeeScript) to achieve results: your view templates, scripts, and styles will still be handled by Asset Pipeline: concatenated, minified, delivered. In production, where it all counts, they will still come in the form of two big unreadable (for humans, at least) files: one for scripts and one for styles. If we are not careful enough with “classic Rails full-stack way”, we end up with the global dumpster of all things CSS and JS, littered with dead code, in no time. Speed is another reason to consider a switch. The problem is well documented and Heroku even has a dedicated guide about optimizing Asset Pipeline performance, admitting that handling assets is the slowest part of deploying a Rails app: “On average, it’s over 20x slower than installing dependencies via bundle install”. In development, changing a line of CSS and reloading a page to see the result may also take some time—and those seconds add up quick. In 2017, DHH and Rails community have finally started changing things around. Rails 5.1 brought us Webpack integration with the webpacker gem, node_modules through Yarn, out-of-the-box support for Babel, React, Vue and PostCSS (and even for Elm, if you are feeling adventurous). Asset Pipeline and CoffeeScript, however, still maintain their hold: starting a project with bare rails new gives you the “good old way”. While searching the web for JS-related topics, you still have to transpile code examples in your head in order to make any sense of them. In this series of tutorials, we will share some of the best practices developed at Evil Martians to build a modern sensible front-end. React teaches us to think in components. Other modern front-end frameworks follow the lead. Modularity is the philosophy behind common CSS methodologies such as BEM. The idea is simple: every logical part of your UI should be self-contained. What if we could bring everything together and have partials, their respective scripts and styles together—in the same place? That way we can rely on the smarts of modern build tools to only bundle the components we actually use. And whenever we want to change something—we know exactly where to look. The approach we are going to showcase does not rely on React, Vue or Elm architecture, and purposefully so: you are free to learn those tools on your own, but you don’t have to take a steep learning curve right now. You can use tools that already come with Rails to gradually adopt a modern front-end mindset. It is finally time to get our hands dirty. To demonstrate a new approach to front-end, we will build a standard run-of-the-mill chat application with minimal authentication and ActionCable. Let’s call it evil_chat. The example is not too complex, but is still sophisticated enough to make our experience “full-stack”. In our project, we are going to say goodbye to Assets Pipeline and default Rails generators that create a bunch of .scss and .coffee files. We are going to keep ERB as the default templating engine, leaving you to explore alternatives like Slim or Haml at your own pace. We are also going to revisit the folder structure. Everything will now happen in the new frontend folder at the top level of our application. It will replace app/assets completely. Don’t worry if it does not quite make sense yet, let’s take it step by step. As you see, we no longer need CoffeeScript or any of the Sprockets-related functionality. -T is optional, it skips creating test files, as testing is beyond the scope of this tutorial. We will use PostgreSQL as our default database with --database=postgresql, as it will make our app easier to deploy on Heroku once we’re done. A package.json to declare all your dependencies, as well as yarn.lock which means you can add packages with a (fancier) yarn add instead of npm install. .postcssrc.yml already configured with postcss-import and postcss-cssnext plugins that allow you to use all the features described in cssnext. Now open this file and add a single line: > 1%. That’s all there is to know about browser compatibility! Time to perform the desecration of Asset Pipeline. Remove the app/assets folder. Replace stylesheet_link_tag 'application', media: 'all' with stylesheet_pack_tag 'application'. We are going to use CSS on a per-component basis with the help of Webpack and ES6 import statement. That means all our styles will be handled by webpacker too. With Procfile in place, you can launch all your processes with a single command using a tool like Foreman, but we highly recommend using our alternative: the Hivemind. You can also take a look at its big brother Overmind, as it will allow you to use pry for debugging without interrupting any running processes. Time to launch our server for the first time! We assume you already have Hivemind installed, if not—use foreman or a similar process manager (but, seriously, consider Hivemind, it’s awesome). If it does not burn, it works! 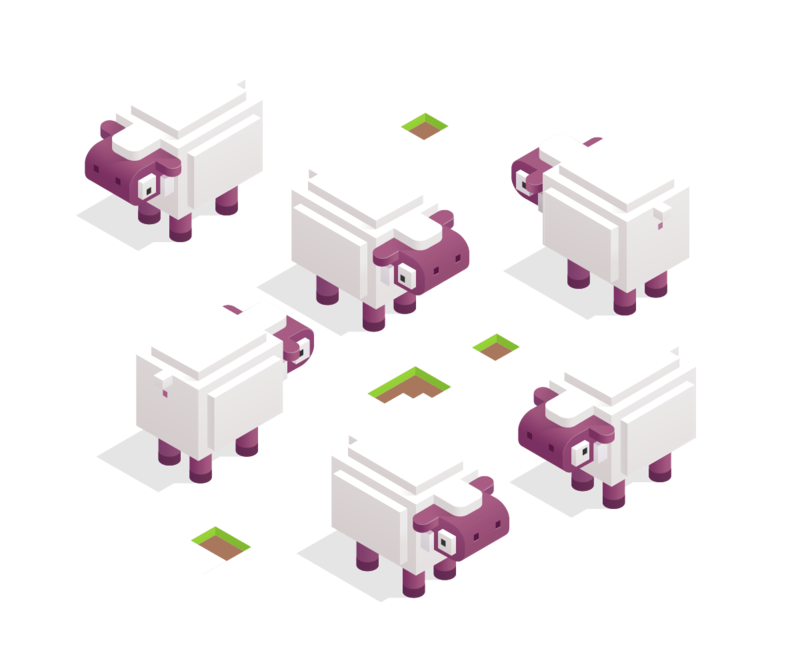 And here is a cool little thing about Webpack. 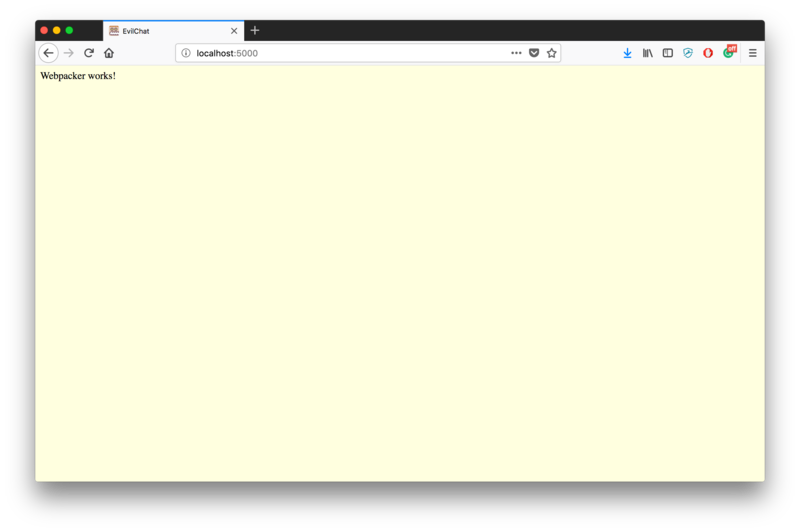 If you go to application.js, change “Webpacker works!” to something else and save the file, you will see changes in your browser without having to hit a “Refresh” button. Now, before we start writing any real code, let’s make sure we write it in style. Okay, how do I lint my JS? Prettier also integrates with all popular editors so you can reformat your code with a touch of a button. ESLint also has plugins for all main editors to give you instant visual feedback. lint-staged and pre-commit will come handy later, when we add some hooks to our git add and git commit commands. This way we make sure that less-then-ideal code will never even make it to a repository. One last touch: we need .eslintrc file in our root folder so ESLint knows how to apply our rules. The order of elements under "extends" key is important: this way we are telling ESLint to first apply Airbnb rules, and whenever there is a conflict with Prettier format guides, prefer the latest. We also need to add a key "import/resolver" for our eslint-import-resolver-webpack dependency: it makes sure that whatever you import in your JS files actually exists in the folders handled by Webpack (in our case, it’s a frontend folder). We will also need a .stylelintrc file in our root — to instruct our linter. Now, every time we commit, all staged files will be examined for errors and reformatted automatically. Our final package.json should look like the contents of this gist. To install all new dependencies, run yarn in your Terminal. I know you can not wait to see our automated linting in action. Try going to your frontend/packs/application.js and removing a semicolon. Then run git add . && git commit -m "testing JS linting" and see that semicolon being added right back. See? No sloppy style anymore. Just to give you a taste of what will be happening in Part 2 of this guide, let’s create our first component. All we do here is applying some general styling to all fonts in our app. Our init folder will also be the first to go into the bundle, so it makes sense to include our normalize.css here. Later we can use the same folder to set up polyfills or error monitoring—any functionality that does not relate directly to our components and needs to be loaded as soon as possible. Okay, init is a special case, so what about the components? Each component is a folder with three files in it: one for ERB partial, one for scripts, and one for styles. Note that we are not calling our component’s JS file index.js, this name is reserved for our init folder. We choose to name our JS files the same as our components so that later, when we have multiple open tabs in our editor, we can quickly figure out where we are. This practice is not common (in other tutorials you will see mostly index.js for components), but saves a lot of time when writing code. Finally, our _page.html.erb contains markup. Note the we can use all ERB goodies here and leverage the yield statement that will allow us to nest components one inside another. Congratulations, you have completed Part 1 of this tutorial! Please, proceed to Part 2 where our application finally takes shape and we introduce components needed for our chat-related functionality. We also add a helper to render our components with less typing and a generator to automate their creation.